The beginning of the month marked the 50th anniversary of Harold Wilson’s iconic ‘white heat’ speech. Stuart Butler asks what we can learn about participation in European scientific and technological collaboration from decisions made by Wilson’s government. At the beginning of this year George Osborne committed the UK to increased investment in a large European organisation. Given more recent developments in Anglo-European policy this might sound somewhat out of place. The organisation to which I am referring to is not the European Union (no surprise there), but the European Space Agency. The ESA has a long history, founded in 1973 out of the merger between two separate organisations. One was run by scientists and engineers with government money, concentrating on scientific experimentation in space through satellites (the European Space Research Organisation, ESRO). The other was run by governments through scientific departments or agencies concentrating on producing a satellite launcher (the European Launcher Development Organisation, ELDO). The history of Britain as a member of the ELDO provides an interesting example of the importance of striking the right balance between satisfying scientific and diplomatic priorities in the creation of and day-to-day running of scientific collaboration. How does this relate to Wilson and his ‘white heat’? Well, having promised a new ‘Britain that is going to be forged in the white heat of this revolution’, Wilson’s first governments (1964-66 and 1966-70) were under pressure to ‘deliver’ in terms of science and technology. However, the first thing Wilson did after increasing his majority in 1966 was to announce British withdrawal from ELDO. Given that this coincided with the ‘probe’ of attitudes in European capitals (to assess whether a second British application to the European Communities would be welcomed) Wilson’s announcement was not well-timed in terms of foreign relations. Britain was responsible for the construction of the first stage of the satellite launcher, and European nations were understandably angered and anxious at the decision which would render ELDO completely useless. Although agreeing to a reduction of the British budgetary contribution, Wilson was not entirely satisfied. The fact remained that ELDO was a pretty dysfunctional multilateral organisation. There were no budgetary ceilings, and cost estimates spiralled from an original £70m to £150m. There was only loose central design control, meaning that each country built the bit they were responsible for, then turned up in the Australian outback, fitted it together, and saw what happened. They mainly saw explosions. ELDO was set up to satisfy a number of (not particularly scientific or technological) needs: to provide a use for the UK’s Blue Streak missile programme (which had just been embarrassingly cancelled) as the first stage, and to earn Britain some much needed good press as a “committed European” power. Whereas the Conservative Macmillan government had created a programme of scientific and technological collaboration for diplomatic and domestic policy reasons, Wilson instead pushed for a viable organisation at the expense of diplomatic relations. The solution was ESA, a far more successful organisation than ELDO. So, if scientific and technological collaboration created for foreign policy and domestic purposes leads to poor outcomes, how does it work the other way around? Again, in 1967 British scientists created the first working prototype of a gaseous centrifuge for the separation of uranium. Now, you might think that a government on the verge of applying to the European Communities (one of which was the European Atomic Energy Community) would have included this project as part of that negotiation. In fact, Wilson snubbed French interest in the project, concluding a tripartite agreement instead with West Germany and the Netherlands in about six months. The agreement contained a flimsily worded clause at the end to the effect that other nations would be welcome to join at a “later stage” when their efforts could be married to the existing programme – serving to anger French officials even more than if the clause had been omitted. The organisation set up to manage the project, Urenco, was run as three national publicly traded companies, with a joint committee acting as a strategic management board. The main aims were to finish commercialisation of the research project as fast as possible, and therefore, to make a lot of money (by significantly undercutting heavily subsidised American prices). Repeated French requests to join the organisation (including personally to Wilson at a meeting with General de Gaulle just prior to the French veto of British entry to the European Communities in late 1967) were rejected on the grounds that France’s contribution would only serve to slow the programme down (France was eventually permitted to join the Urenco group in 2005). Urenco was, and is, a very successful venture, technologically and otherwise. The group is profitable, and as of 2012 had a 31% share of the world’s market in enriching uranium. In both of these cases Wilson was not averse to upsetting other nations in order to create viable and useful organisations. The Foreign Office was not impressed with any of this, although as it didn’t have an in-house scientific adviser until 2009, it had relatively little power in decisions that were easily characterised as outside its realm of expertise. Certainly from these two examples (and there are others), collaborations created for their intrinsic scientific or technological value rather than primarily for diplomatic or domestic pay-offs would appear to have far greater chances of success. Perhaps this is something the current government (and opposition) could bear in mind as commitment to major projects such as ITER (the International Thermonuclear Experimental Reactor) is debated in forums at home and abroad. The full version of Wilson’s ‘white heat’ speech can be found here. 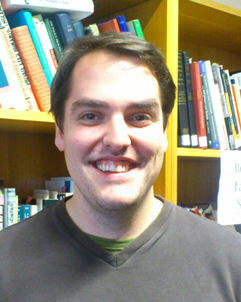 Stuart Butler is a doctoral researcher at the Centre for the History of Science Technology and Medicine (CHSTM) at The University of Manchester.